UN envoy for Somalia condemns bomb blasts in Mogadishu | Goobsan Media Inc.
13 March 2017 – The United Nations envoy for Somalia has strongly condemned this morning’s bomb blasts at two locations in Mogadishu that reportedly killed a number of civilians. “These latest attacks come at a time when solidarity, not violence, among Somalis is badly needed,” said Michael Keating, the Special Representative of the UN Secretary-General for the African country, in a press statement. “The country is grappling with a severe drought that has already claimed the lives of hundreds of people. The timing and suffering caused by today’s blasts are outrageous; this violent extremism cannot possibly be justified,” he added. According to the statement, the first blast occurred near the General Dhagabadan training facility of the Somali National Army, and initial accounts indicate that only the suicide bomber who was driving an explosives-laden minibus died in the explosion. 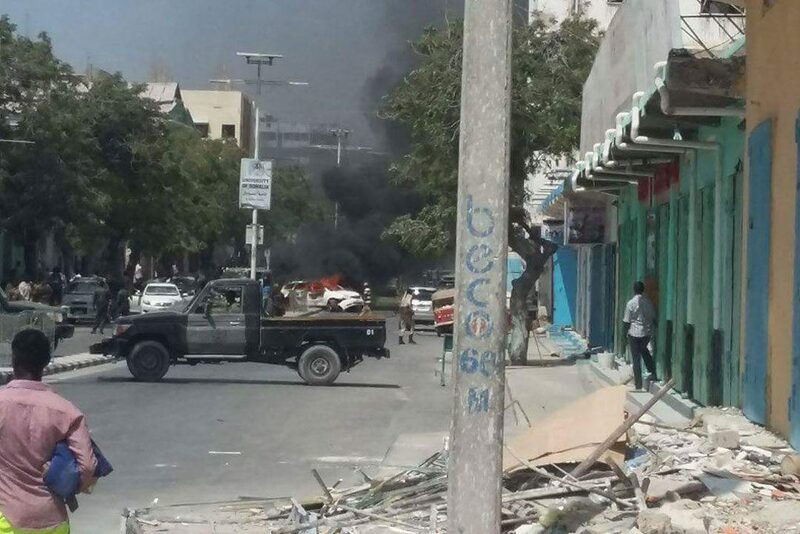 The second attack was also carried out by a bomber driving a vehicle filled with explosives who attacked the gate of the Weheliye Hotel on the Somali capital’s congested Makka al-Mukarama road in a deliberate attempt to inflict a high number of casualties on hotel staff and guests, motorists and pedestrians. Al-Shabaab has claimed responsibility for the explosion at the hotel. “We extend our heartfelt condolences to the families and friends of the deceased and wish a full and speedy recovery to those who sustained injuries in today’s attacks,” Mr. Keating said.